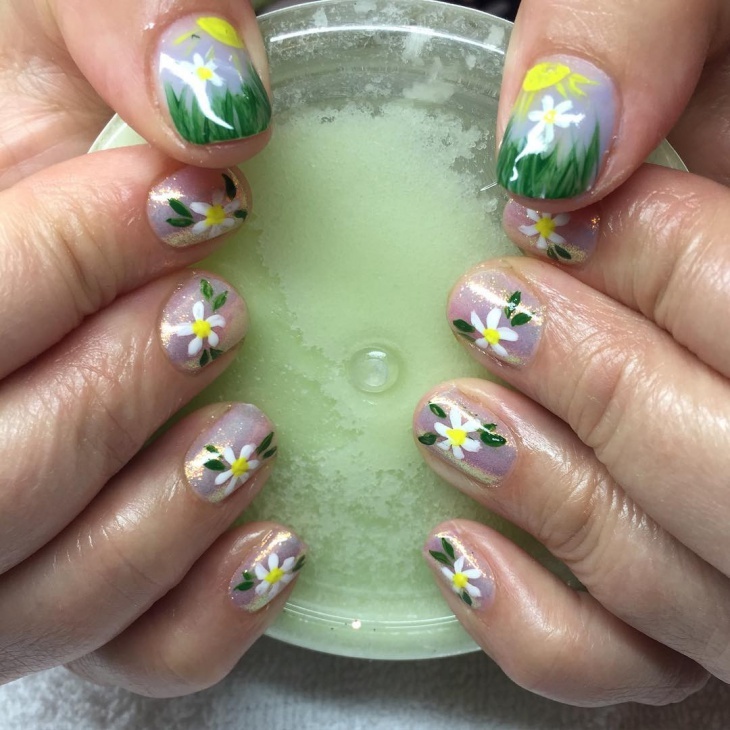 Plant a bouquet right on your nails with a pretty daisy nail art design, which looks pretty on manicured french tip nails. 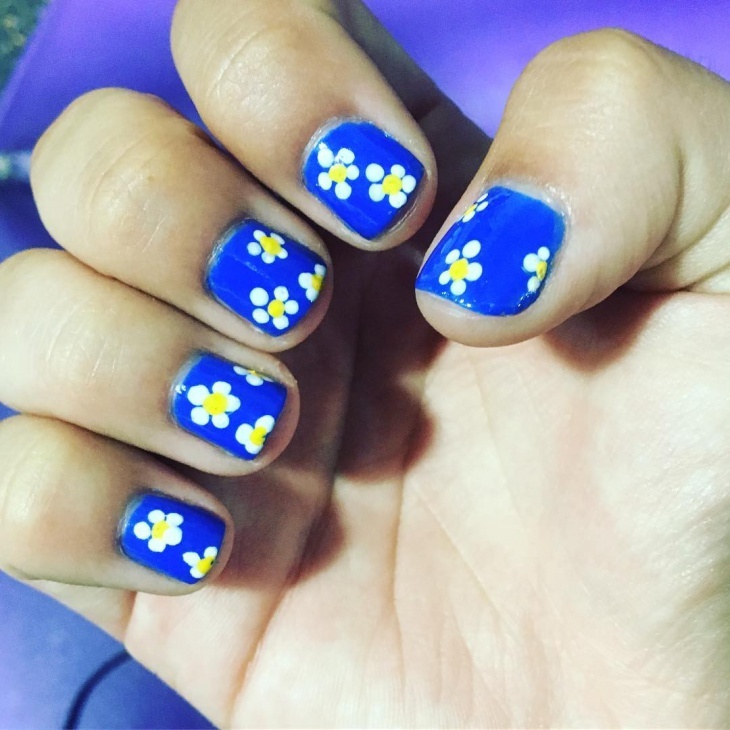 Women all over the world are trying out new nail art designs. 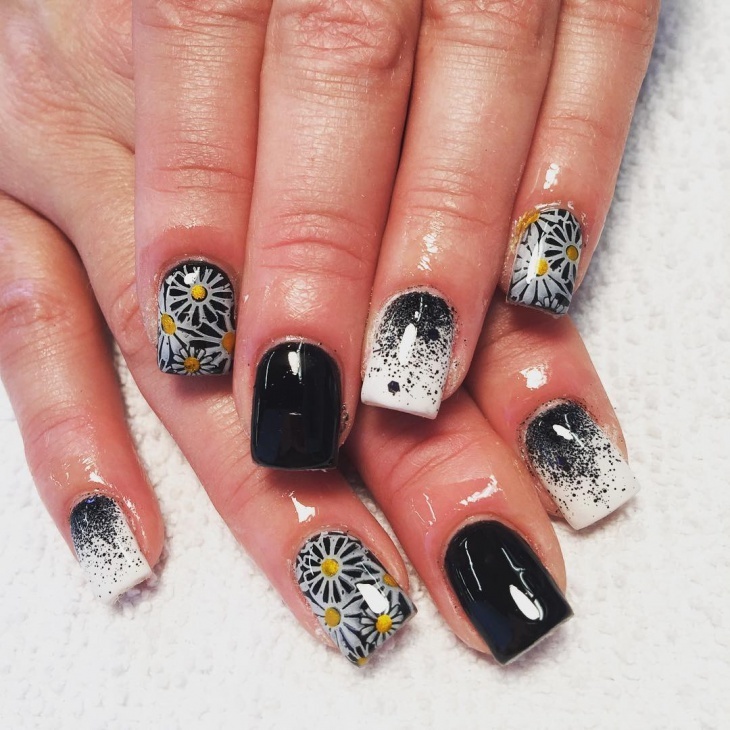 The flower design, even though not new as a whole concept, is making an entry in the nail art industry. 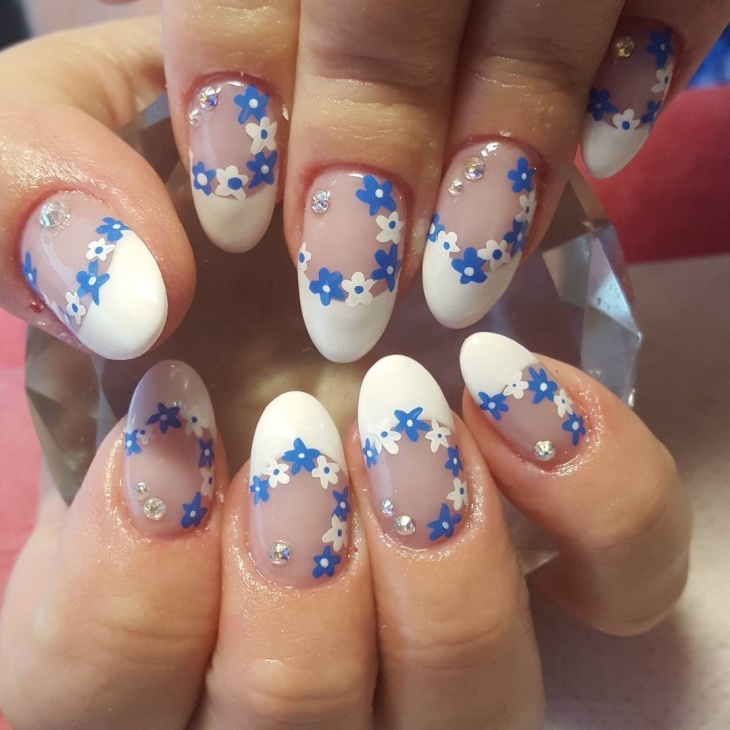 Nail art can be made by oneself meticulously or bought as stickers. 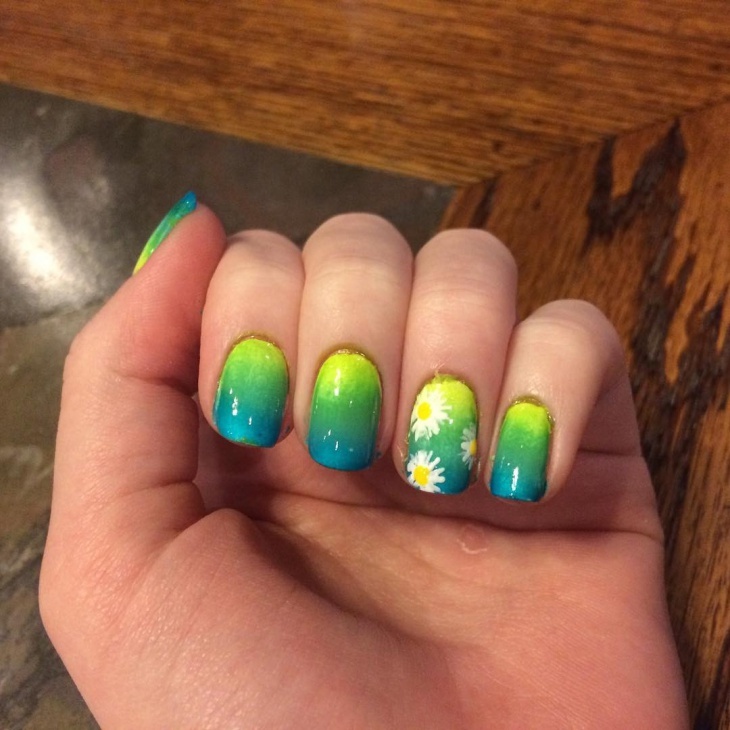 Here a few pretty daisy nail art designs. 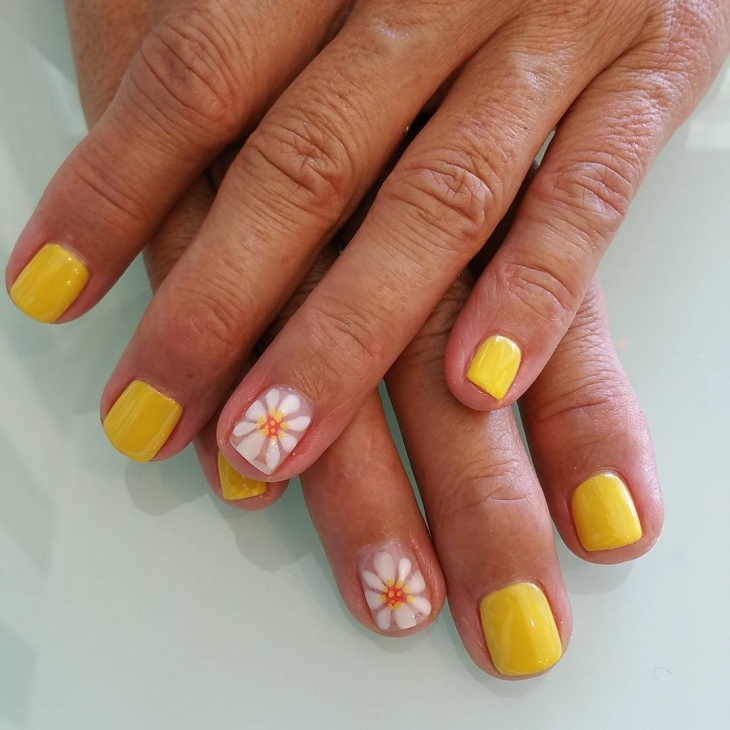 Perfect french tip nails, skilled hands and good quality nail paint can give you any desired nail art design. 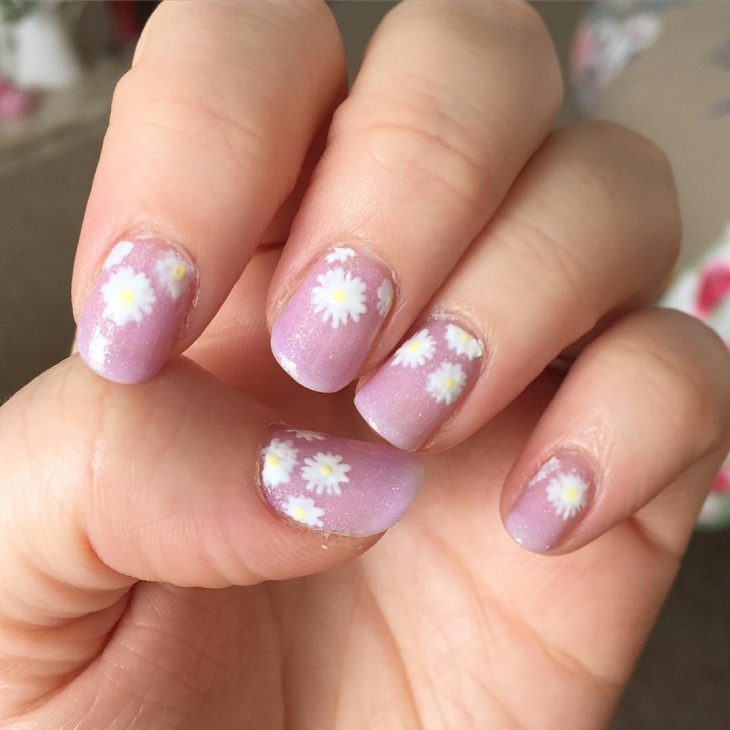 If you don’t want your daisy nail art to be not too flowery, you can keep it minimal by painting the flower on only one finger of each hand. Totally in for the fall mood? 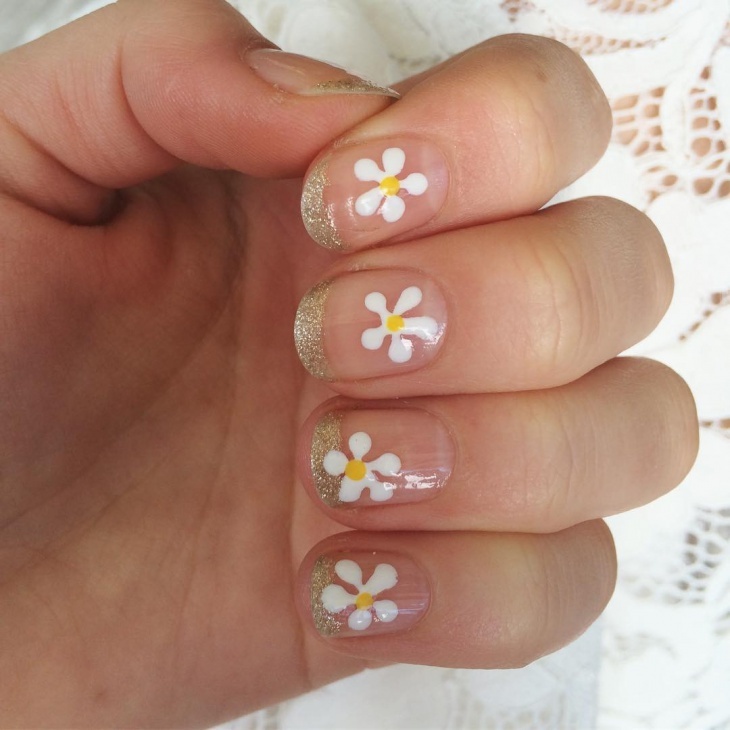 Go ahead and showcase that through an attractive and appealing toe nail art design with daisies on it. 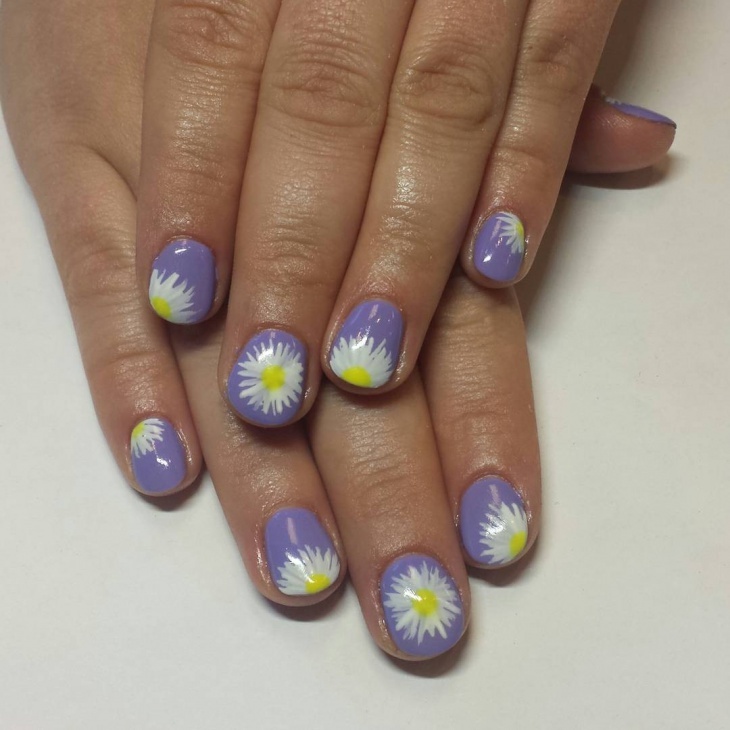 Daisies are small, pretty and very girly. You can always add a stone at the center to make it more appealing. The advantage of gel nail polish is that it is very easy to handle, and stays longer. It doesn’t spill all over the place and hence, is perfect to show your nail art skills. 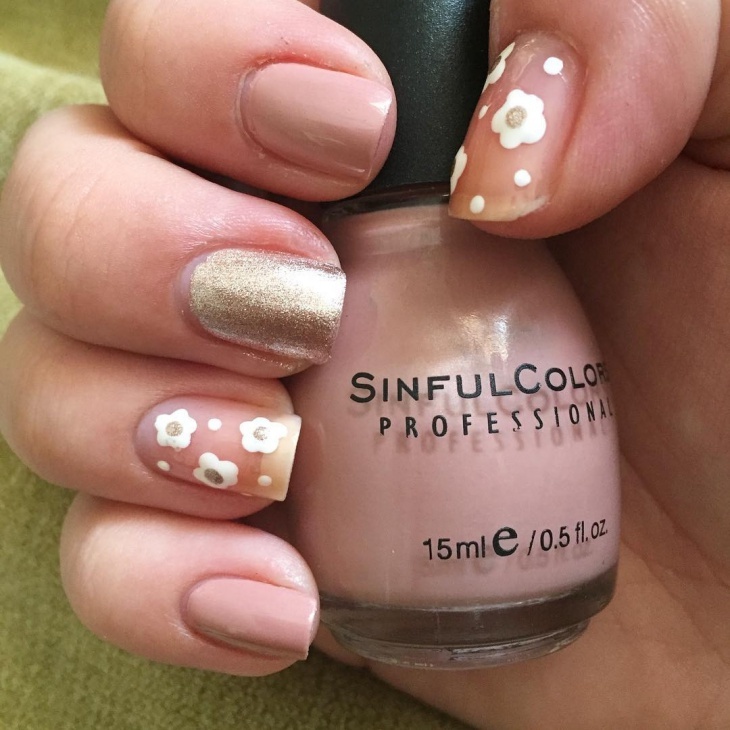 Change the nail art according to seasons. 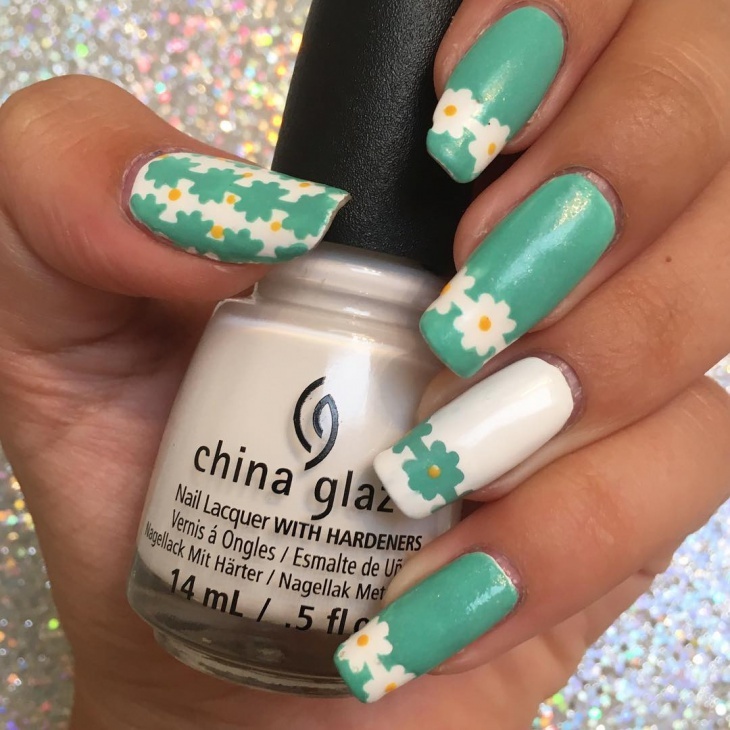 If it is time for the spring, try this particular nail art next time. 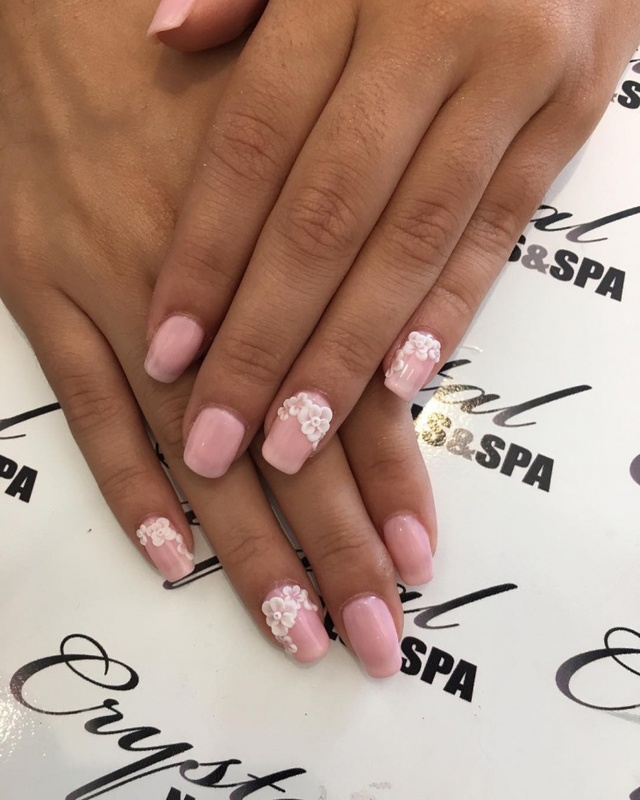 Looking for cute nail art designs for your special day? 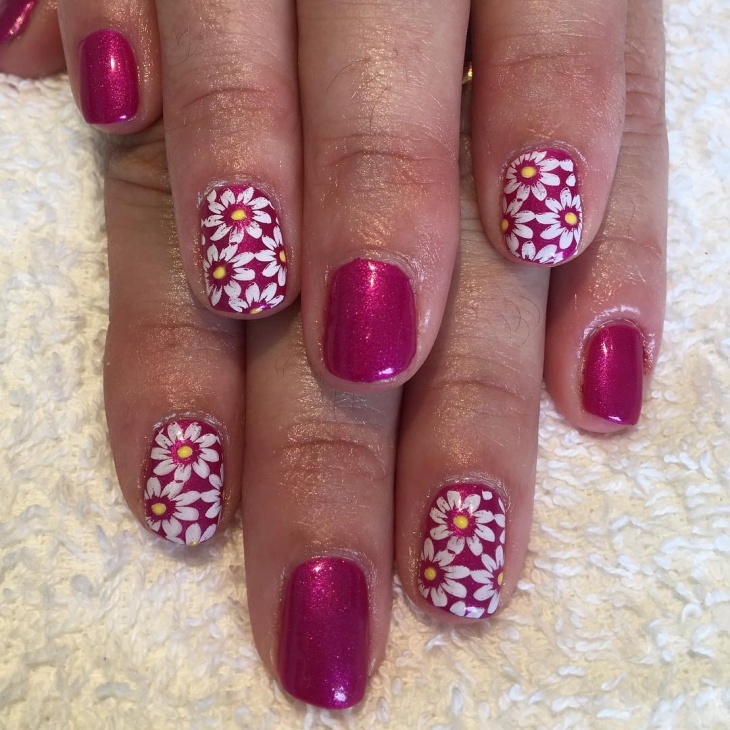 These pretty pink daisies adorn your nails like no other. If you don’t want to take all the hassle of doing all of it yourself, look for a sticker or simply give your salon a visit. 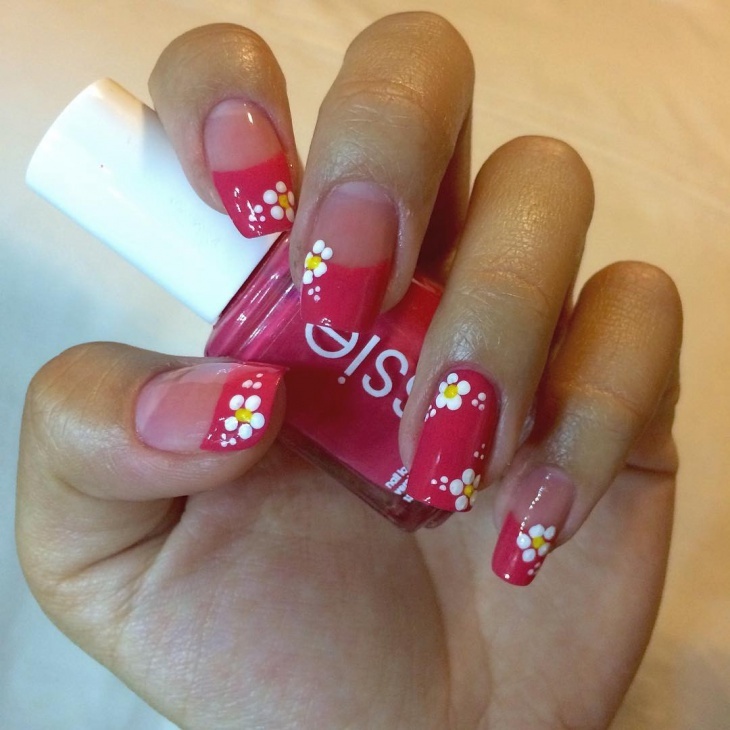 Often girls tend to have the notion that short nails cannot be decorated with a glamorous nail art design. 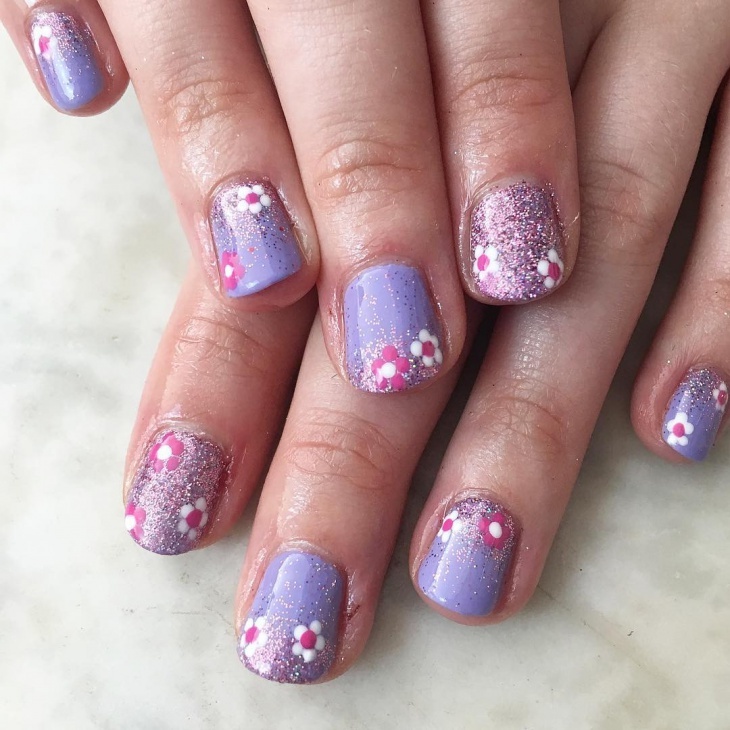 In fact, short nails look cuter and something that even teenage girls can do. Seek for bigger and less intricate designs. 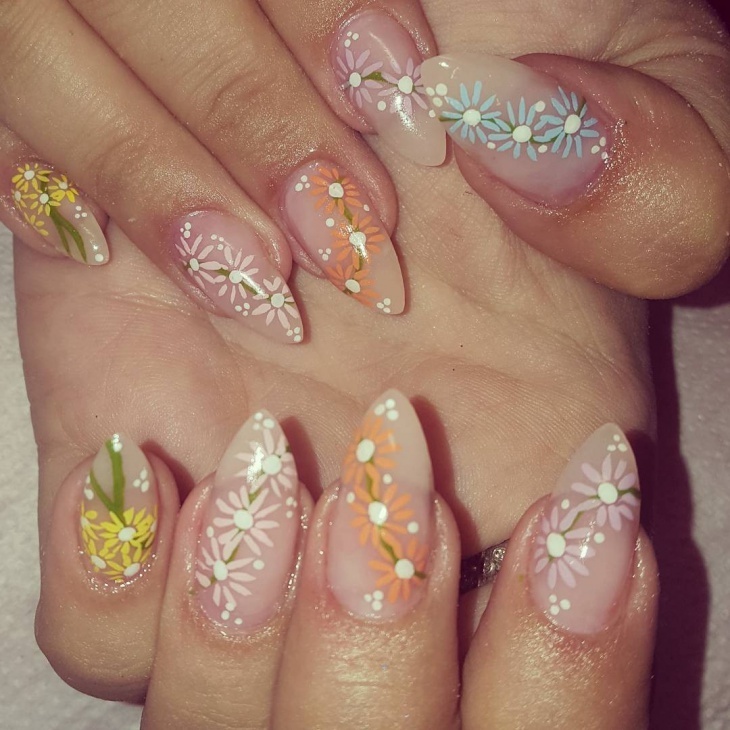 There was a time when nail art only meant some glitter work. But, not anymore. Although it is tough to do it all by yourself, with a proper manicure kit, you can glamorize your nails and give it a total makeover. As they say, there is beauty in the ordinary. It is simple yet so appealing and delightful. If you’re preparing for prom or a special date and want to leave no stone unturned, showcase that effort in every little detail such as this. 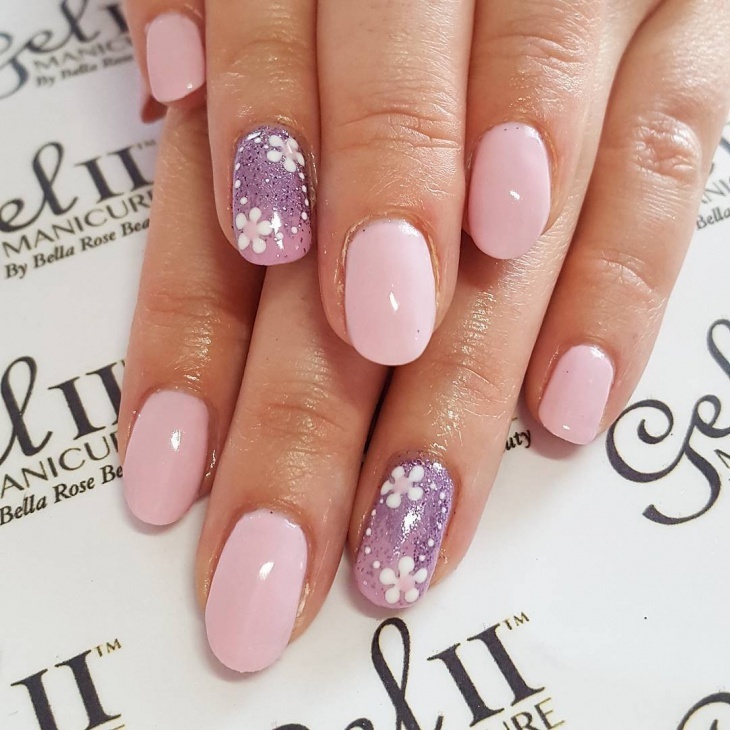 For all those girls who like their nails to be in perfect shape always, this nail art design augments your impeccable french tips or square nails. Not too fussy yet equally appealing, if not more. Also, opt for acrylic nail paint for a nice sheen. 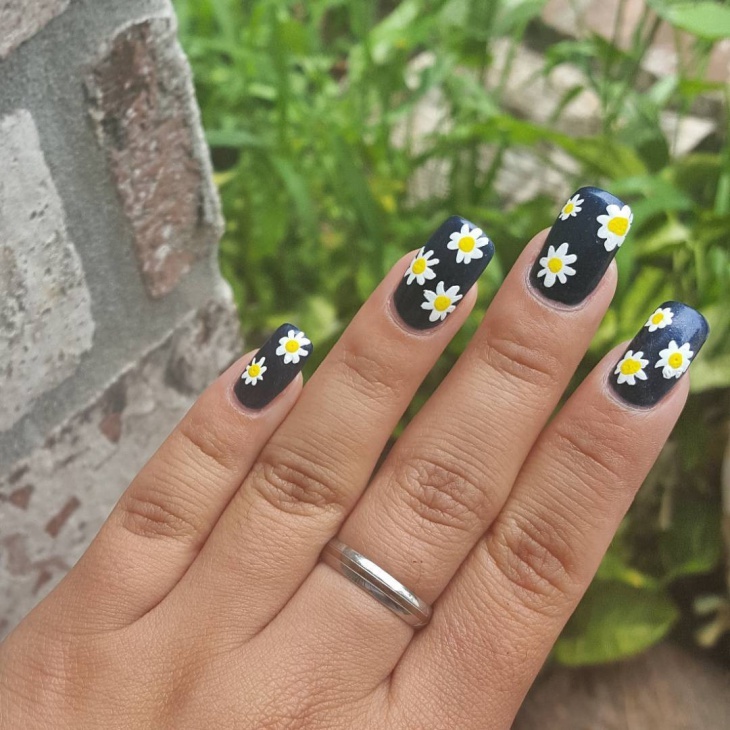 Sunflower nail art and Hawaiian nail art have been the epitome of summery nail art designs but, with the coming of such amazingly beautiful daisy nail art designs, women might as well consider a shift in course. 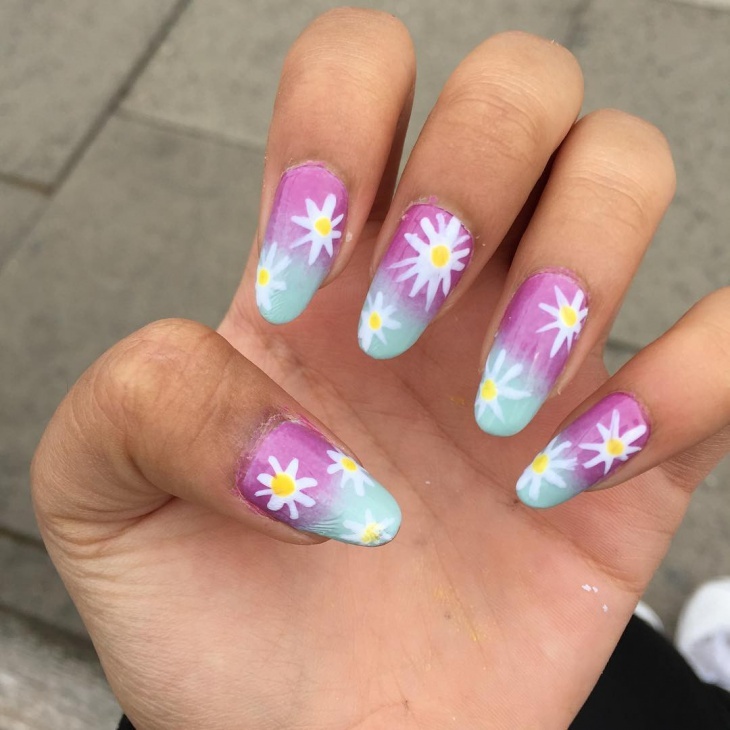 Give your nails an interesting twist with these nail art designs.